16s Team and 17s Team Tryouts and Player Development will be on March 20 (1st Round) and 24th (Final Round). These are open tryouts for 7th thru 11th grade players to attend. We have only have one team per age group. Please see details on separate TABs below for specific dates for each age groups. All players on the team are expected to attend these tryouts and team development. 14s and 15s Tryout Dates will be at Marshall High School. 16s and 17s Tryout dates will be in RA facility at SMSU in Marshall, MN. Tryouts will include skill evaluation, athletic ability, and team play. Come ready to compete and improve. 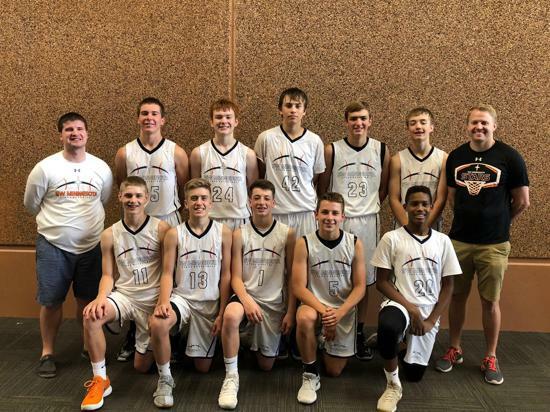 ©2019 SW Minnesota Stars Basketball / SportsEngine. All Rights Reserved.